In October 2016, more than 40,000 people will meet in Quito, Ecuador for the largest cities summit in United Nations history - Habitat III. During the conference, we will create a collaborative space to connect science, visualization and design for the future of cities. An exhibition will showcase cutting-edge visualization projects on cities from across the globe. Habitat X Change will connect the dots between science, design and urban planning, in order to jointly work towards a better future for cities. We are preparing an exciting lineup of networking events, expert talks, workshops and much more. Throughout the next few months on the road towards Habitat III, this website will become our information hub for the conference in Quito. For the duration of the exhibition (October 15th to 20th), the Habitat X Change space will host a series of events. From a master class on visualization, to talks and panel discussion on cities and science to the launch of new magazines and journals. Speakers from around the world will discuss the futures of cities and share their perspectives on upcoming challenges in our quest for a better urban future. Combining perspectives from science, NGOs, industry and civic organizations, we will try to broaden the discourse and foster knowledge exchange between the communities. 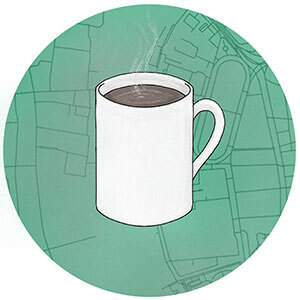 Join us and share your perspective on urban futures. We know that conference days are long. To provide you with fresh boost of energy, we are collaborating with the Quito based coffee academy. Using only the best Ecuadorian coffee beans, they will be serving you fresh espresso all day. Recharge and enjoy your stay in Quito. 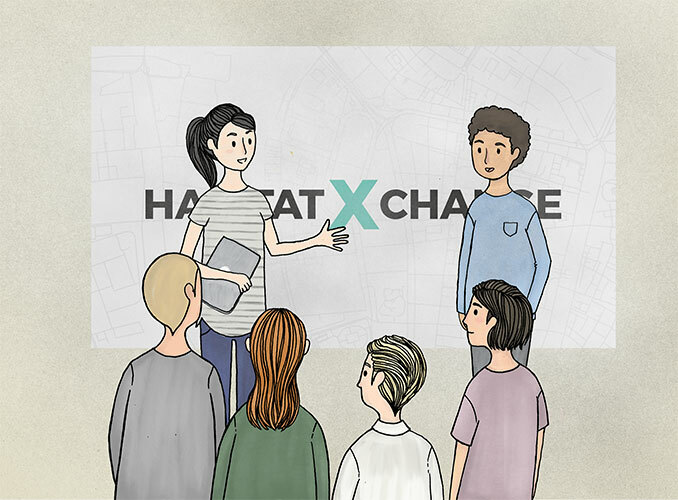 If you want to keep in touch about the Habitat X Change platform and our activities in Quito, sign up for our newsletter. Your information will not be shared with third-parties and will only be used in regards to Habitat X Change and the urban visualization platform cityvis.io. We see ourselves as initiators and want this space to become an open exchange of ideas and knowledge. The project is supported by three institutions: The International Council for Science (ICSU), Future Earth and FHP — the University of Applied Sciences Potsdam. The International Council for Science is a non-governmental organization connecting national scientific bodies and international scientific unions from 142 countries. It coordinates and promotes policy-relevant science in support of sustainable development. Future Earth is an international research platform that provides the knowledge to support and accelerate our transformation to a sustainable world. Visualization researchers at FHP's Urban Complexity Lab, Interaction Design Lab and Institute for Urban Futures bring together world class expertise in visualizing urban transformation. This October, Quito, Ecuador will host the third edition of the UN Habitat conferences. Habitat III will focus on housing, sustainable development and the role of cities in the process of shaping a better urban future. The main conference, which is dedicated to the finalization of a New Urban Agenda, will attract more than 40,000 representatives from all over the world, including high-level representatives of the world’s governments. 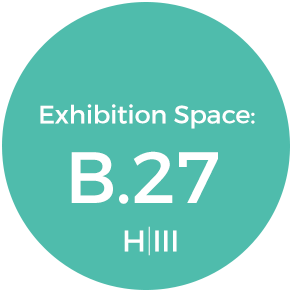 The exhibition space, in close proximity to the negotiating space, runs from 15-20 October and will bring together non-profits, academia, companies and other stakeholders, creating a vibrant place for exchanging ideas and forging new partnerships. ICSU, Future Earth and FHP will be hosting a six-day exhibition space to highlight opportunities - via a mix of immersive experiences and dialogues - for the science and visualization communities to support sustainable urban development.